Hotel Opera in Kiev. Hotel Opera restaurant. Kiev hotels. Hotel Opera offers its guests to enjoy gastronomic pleasures at the restaurant of Mediterranean cuisine Teatro. 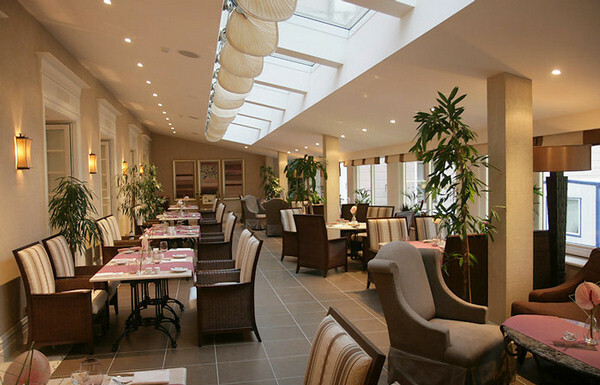 The restaurant is located on the second floor of the hotel. Hall interior is performed in a classical style with baroque elements. Decor in pearl grey tones is supplemented with twisted-framed mirrors and lamps. The hall can be transformed by special screens. Wine connoisseurs can take places in a small wine room of restaurant Teatro. In this hall there are only two little tables, main local attraction - wine cupboard is placed behind an openwork forged gate wings. Ceiling is finished with wood; lamps, decorated with textiles, disperse the soft light. 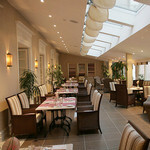 Indoor verandah of the restaurant is buried in verdure of exotic plants. Having made their self comfortable in a soft woven chair at a marble table with graceful forged legs, visitors would feel like at resort. In the restaurant menu traditional and author's dishes of Mediterranean cuisine prevail, but you can also order popular Ukrainian or Russian dishes. Wine list is really great, here there are wines from France, Italy, Spain, Australia, Argentina, the USA, Chile, Georgia and Ukraine. 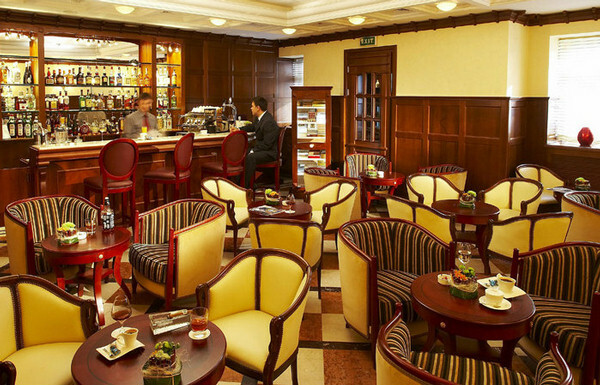 Also in hotel Opera Bellini’s Bar and Lobby Lounge work, where it is wonderful to have some tea with friends or business partners in calm and measured atmosphere. 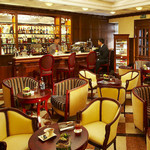 In bars there is a wide choice of various drinks and cigar menu also.